Lock in a great price for Anpha Boutique Hotel – rated 8.7 by recent guests! Version comfortable, friendly helpful staff, wonderful view from roof cafe, but the biggest plus of all is the superb location! Very very clean. The staff is more than friendly. I had a problem with ac in middle of night and they upgraded my room. The manager was very friendly and accessible to talk to and wanted only my happiness. The maids are amazing and every day when I came back to my room it was as clean as check in. I used the laundry service which picked up, cleaned, and plastic wrapped my perfectly prepared items. The staff always wanted to help with any question I had. The breakfast on the roof top was always great quality. They offer different juices, coffees they have pho... or the American breakfast which was my favorite. For the price I can't imagine a better deal. Location was amazing, near the market, nice restaurants and bars Great value! Great location. Right in front of Ben Thanh market. Everything is in walking distance. Staff is helpful and friendly. Rooftop breakfast with city view is great. Staff were friendly, helpful and place well situated. 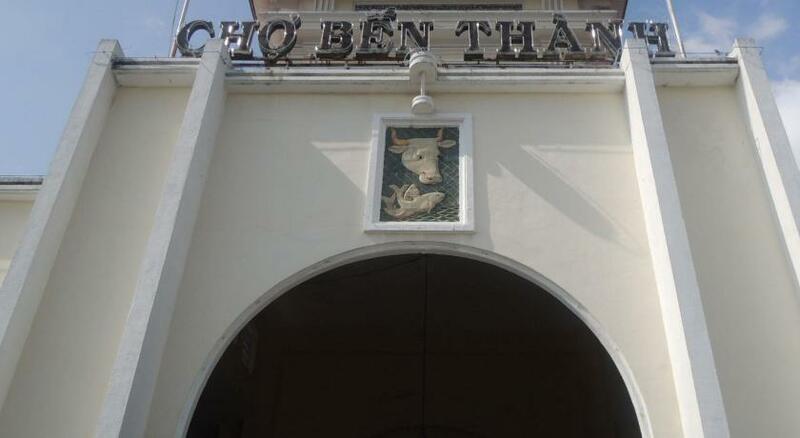 Ben Thanh market is literally just a few steps away. The staff were smartly dressed, courteous, helpful and could speak English. Special mention - Jon the bellboy who was most informative and attentive. The decor was classy, elegant, and the ambience was serene. After a day of walking and shopping, I had the joy of a bubble bath in my bath tub ! Bliss ! At night, the rooftop view of Ben Thanh was beautiful ! As I had to miss breakfast on the rooftop having to leave for the airport at 6.30 am the next day, the staff prepared a sandwich and a cup of coffee to go for me. 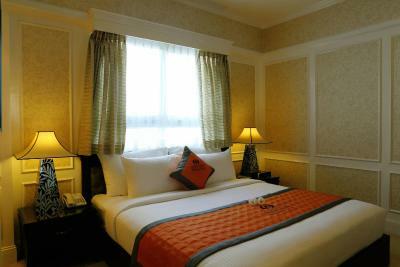 Though my single room was small with little walking space, the double bed was very comfortable. (For 2 people, get a bigger room). I do love the white doors and the glow of the bedside lamps. Indeed a cosy refuge from the chaos outside ! Fantastic location and rooftop :) Great value for money and we were in walking distance to so many great restaurants and attractions. 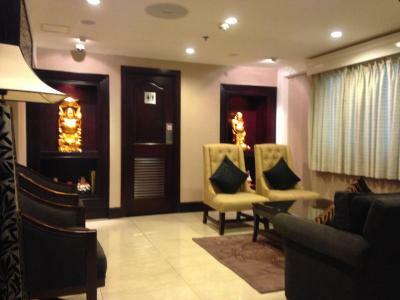 This was my second stay at this hotel and again, it was superb! The rooms are simply beautiful - big comfortable bed, coffee machine, great shower and even a dock that acts as a speaker for your iPhone. The staff here are first-class and take the time to talk with you and are very efficient at checking you in. They are a very friendly bunch. 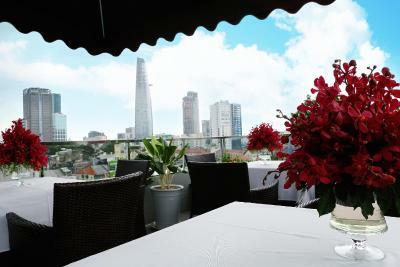 Breakfast is on the rooftop terrace and you pick one menu from a choice of about five. I always have Pho for breakfast and it was delicious. The hotel itself is right in the hub of everything and a stone's throw away from the infamous Streetfood Market, where you can sit down at one of the long benches and enjoy amazing food and beer for a very low price. It is a great place to eat and so friendly. 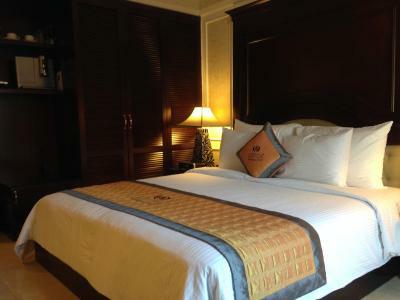 This will now be my regular hotel, whenever I am in Ho Chi Minh City. I thoroughly recommend it. We like the hotel because it was centrally located. It was near to Bien Tat market, im a muslim and the area had a lot of muslim restaurants, so it was so ideal. The room that we booked was so clean and bed was nice. We booked the premier double. Anpha Boutique Hotel This rating is a reflection of how the property compares to the industry standard when it comes to price, facilities and services available. It's based on a self-evaluation by the property. Use this rating to help choose your stay! One of our top picks in Ho Chi Minh City.Anpha Boutique Hotel is a beautiful boutique hotel conveniently located in Ho Chi Minh City. 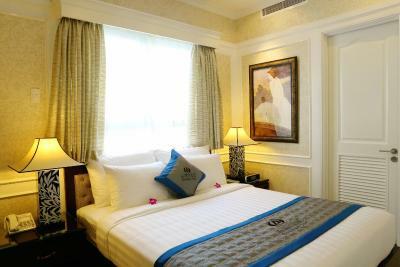 It is located just 650 feet from Ben Thanh Market and provides elegant rooms with private bathrooms, free Wi-Fi access and a rooftop restaurant. 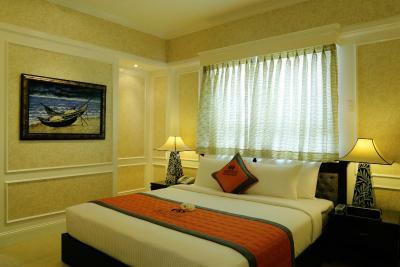 Rooms here will provide you with a flat-screen TV, air conditioning and a mini-bar. 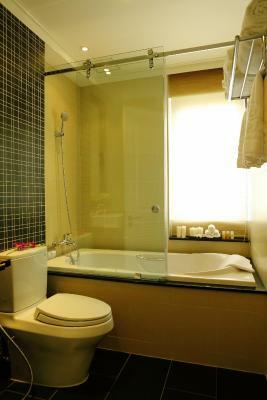 Featuring a shower, private bathrooms also come with a bath and free toiletries. Extras include a seating area and cable channels. Some rooms have a private balcony. 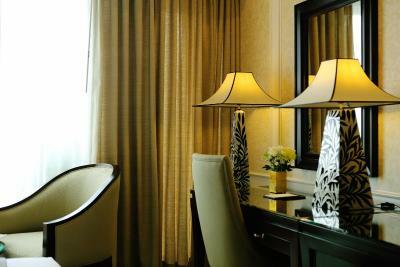 At Anpha Boutique Hotel you will find a 24-hour front desk. Other facilities offered include a ticket service, a tour desk and luggage storage services. 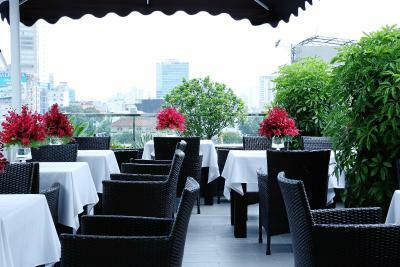 The restaurant has a garden terrace and offers great views of the city. 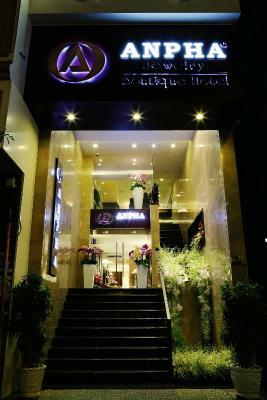 Guests can enjoy both European and Vietnamese specialties in a relaxed atmosphere. 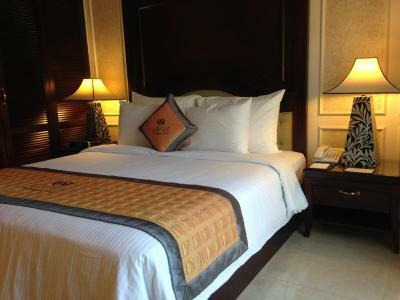 The hotel is located about 2.5 mi from Military Museum and 1,650 feet from Reunification Palace. Tan Son Nhat International Airport is located about 4.3 mi away. 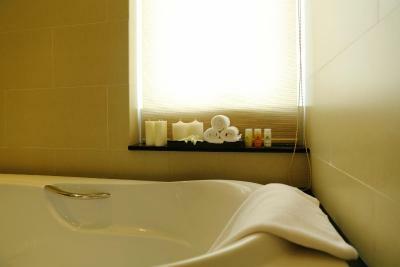 When would you like to stay at Anpha Boutique Hotel? 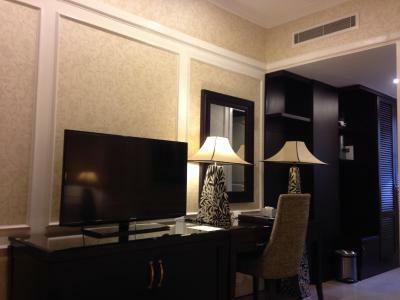 This double room has a cable TV, a mini-bar and air conditioning. The private bathroom comes with a bath and free toiletries. The room also has a seating area. 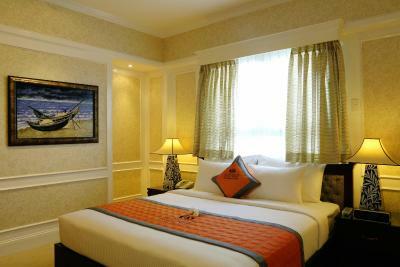 This double room is larger and has a cable TV, a mini-bar and air conditioning. The private bathroom comes with a bath and free toiletries. The room also has a seating area. Room can accommodate 1 extra bed. Extra bed charges apply. 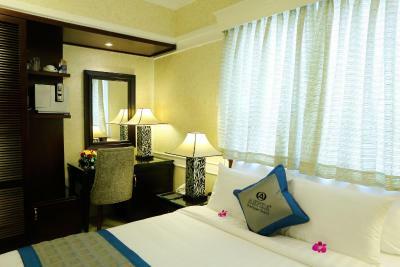 This spacious double room has a cable TV, a mini-bar and air conditioning. The private bathroom comes with a bath and free toiletries. 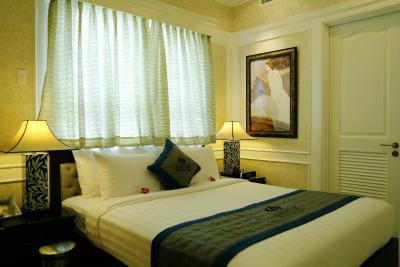 The room also has a seating area and a private balcony offering views of Ben Thanh Market. 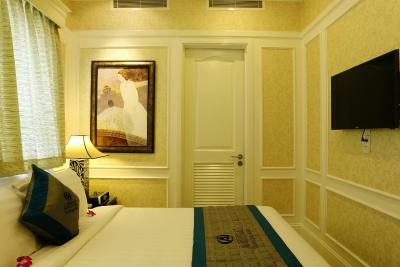 This room can accommodate an extra bed at a surcharge (see Hotel Policies). House Rules Anpha Boutique Hotel takes special requests – add in the next step! 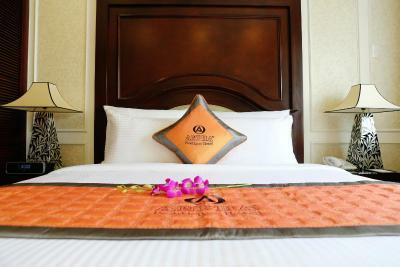 Any additional older children or adults are charged VND 767568.30 per night for extra beds. Anpha Boutique Hotel accepts these cards and reserves the right to temporarily hold an amount prior to arrival. With accordance to the local law, it is illegal for a guest who is not a Vietnamese citizen to share a room with a Vietnamese citizen without proof of marriage to each other. Said guests must present a marriage certificate upon check-in. In case of guests being unmarried, another room must be booked. 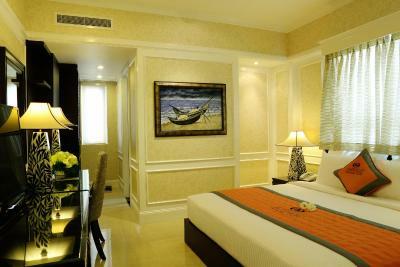 Anpha Boutique Hotel offers airport transfers at a surcharge. Kindly contact the property directly with the contact details provided in your confirmation for further information. 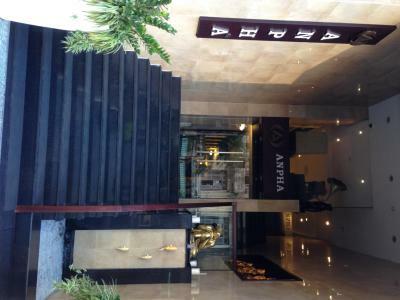 Please inform Anpha Boutique Hotel of your expected arrival time in advance. You can use the Special Requests box when booking, or contact the property directly using the contact details in your confirmation. Nothing significant come to mind. Good breakfast, not a big range, but adequate. Maybe the wifi in the room could improved. The room could have been cleaner, bathroom was not very clean, seemed like it hasn't been cleaned. 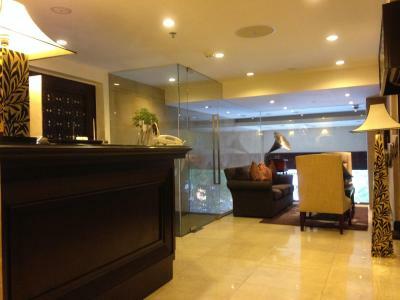 Hotel location is very good, in the city center. I loved the hotel, like it says- it's a boutique, nice, small and the room was cozy. Recommend! This is an outstanding hotel. All staff were friendly and could not do enough for you. 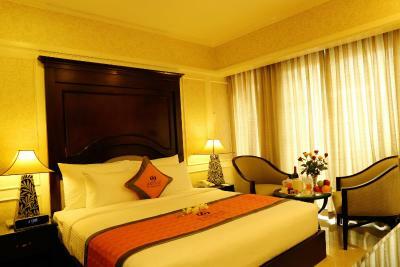 The hotel is located in the very heart of Ho Chi Minh City, close to all main attractions. It is very close to the street food market too, which serves up amazing food all day and night on long wooden benches - I was there a lot! The room was simply amazing - hot shower, automatic coffee machine.......even an iphone dock for playing music. The bed was one of the most comfortable that I have slept in and was "out like a log" no problem at all. The air conditioning worked well too. Breakfast was on the rooftop terrace and you get a choice of menus - american, vietnamese ................. the Pho Pork was delicious. However, there is enough choice and I enjoyed the food each day, which set me up for a full morning of exploring around the city. I am going back to Ho Chi Minh City in April and June. I will be staying here on both occasions. Just book it - you will not regret doing so. It is a wonderful hotel, ran by such nice staff. Receptionist not switched on, I checked out and all she said was thank you and good bye though I had not paid for my room. I could have easily walked out with a free night's stay but I reminded her that I hadn't settled the bill for the room. I believe better check out procedures is needed. The pillows cases had a damp smell which made me questioning if the pillow cases and sheets were changed. Airing the pillows once in a while will surely get rid of the smell, I believe. 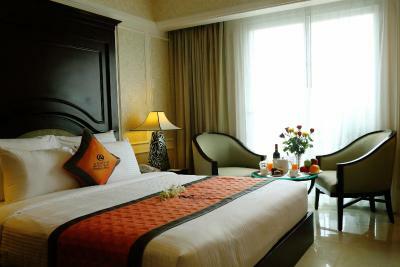 The hotel was very beautiful, the room I stayed is on the small side but it was clean, well designed and kept. It had everything I would need for a comfortable stay. Second stay here, warmly welcomed. Great location near market. Very good breakfast on rooftop terrace. Friendly staff. Very clean. Excellent mid range stay. Rooms furnished to high standard although quite compact. Quiet aircon, good wifi. We really enjoyed our stay at the Anpha Boutique Hotel. The rooms were great, the breakfast was generous and the view from the roof was amazing. 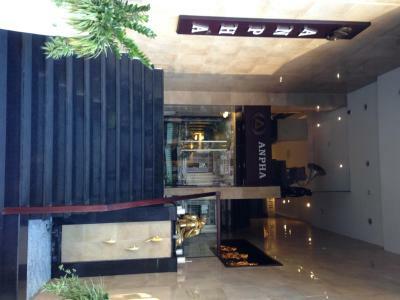 The location is also great, right in the heart of Ho Chi Minh City. Many thanks to the kind team at the hotel for making our stay so enjoyable. Highly recommended. Being spoted right at the nigt market it sounds a bit increadible not to have sounds proof windows ! Therefore you can hope sleeping between 1 and 5:30 am ! Also be aware if you travel 2 with regular suitcases, you will not be able to move around the rooms. It's no more than 11 m². The location of the hotel is definitely the key if you need to spend your stay at the market and night market ! Staff is nice and Richard at breakfast is extremely helpful and will give you great source of information. Room was hard to move around in for two people given its size and furniture. Wifi was very poor in our room.